Today's post is the last of the Ornate Collection. It is all about Ziv and Electra. Ziv is a golden foil that has some flashes of orange/red depending on lighting. Electra is all about bar glitter. She is a holo bar glitter top coat. You can purchase The Ornate Collection here. 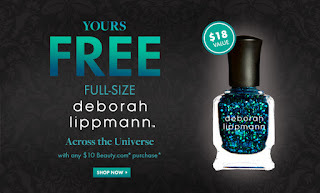 Right now at Beauty.com you can get a free full-sized Deborah Lippmann Across The Universe when you spend $10!! This offer expires 11/08/12 or while supplies last. Also, if you spend $25 you will get free shipping. I call Logan a sleeper. This is because everyone is going crazy over Aurora, Storm and Blaze. I want to show you guys that Logan has been "slept on," meaning she's beautiful and people don't recognize it. Logan is a beautiful dark green polish with gold duochrome shimmer! She is a stunner. Logan can be purchased here. Zoya's Ornate Collection has some great colors. The second polish I'm bringing to you guys is Aurora! Aurora can be found on Zoya's website, here. The first one I reviewed was Storm (found here.) Aurora is a favortie among a lot of people. Aurora is a purple jelly-like polish filled with holo goodness through out. Today I have something little different for you guys. I'm reviewing sunglasses from a company called Firmoo. Firmoo sells all kind of eyeglasses. They have Men, women, sunglasses and even prescription glasses. Firmoo's aim is " vision and fashion the frugal way." Click here to go to their website. Today's post is a tutorial of sort. I want to show you guys how to fix a chipped manicure very easily. I have a manicure on that was starting to chip and I wanted to spruce it up without changing the entire manicure. My manicure is still Miss Fancy Pants (here). "Dr.'s Remedy Puts Pink in the Spotlight this October Get Gorgeous Tips and Give Back During BCA Month." 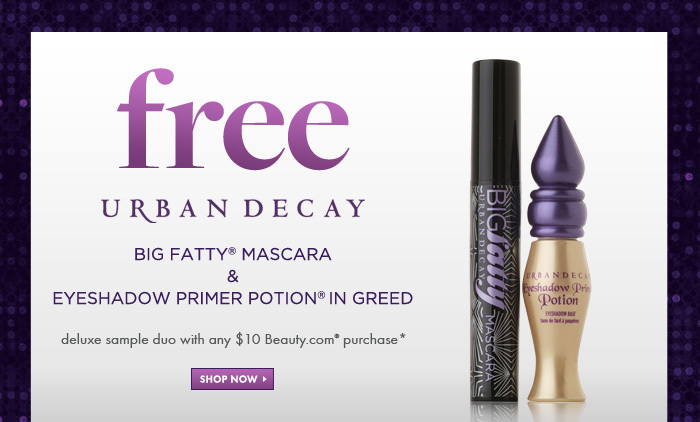 Right now at Beauty.com you can get a free Urban Decay Big Fatty Mascara and Eyeshadow Primer Potion in Greed when you spend $10!! This offer is good until 10/25/12. Also, if you spend $25 you will get free shipping. My 'Try It On Tuesday' post is dedicated to survivors of Domestic Violence. October is Domestic Violence Awareness Month. The color to show your Awareness is purple. To find out more on Domestic Violence and what you can do to help visit the National Coalition Against Domestic Violence. The purple I chose today is butter LONDON Marrow. Marrow is a pretty dusty, grape-y purple. It applied with no issues at all. butter LONDON polishes have a great formula and dry pretty quickly; Marrow was no exception. It applied flawlessly. The pictures show two coats topped off with butter LONDON Hardwear P.D. Quick Topcoat. Pure purple perfection! This is true to life color. What do you think of Marrow? **Breast Cancer Awareness Press Release from Dr.'s Remedy** Please support a great cause!! Dr.'s REMEDY® Enriched Nail Polish is available for $17 online atwww.remedynails.com or by calling 1-877-323-NAIL. Please Support a Wonder cause. Today is dedicated to Breast Cancer Awareness. In honor of Breast Cancer Awareness, I have a pink manicure to share with you. For more information on Breast Cancer visit: NationalBreastCancer.org. For my "pink mani," I used OPI Argenteeny Pinkini and OPI Strawberry Margarita and striping tape. I really liked the way these turned out. What do you think? Don't forget early detection is the key. Have a plan that helps to detect Breast Cancer in an early stage. The earlier it is detected the better the survival of the disease. I have two to review for you today. I LOVE Pomegranate Nail Lacquer! I cannot say that enough. 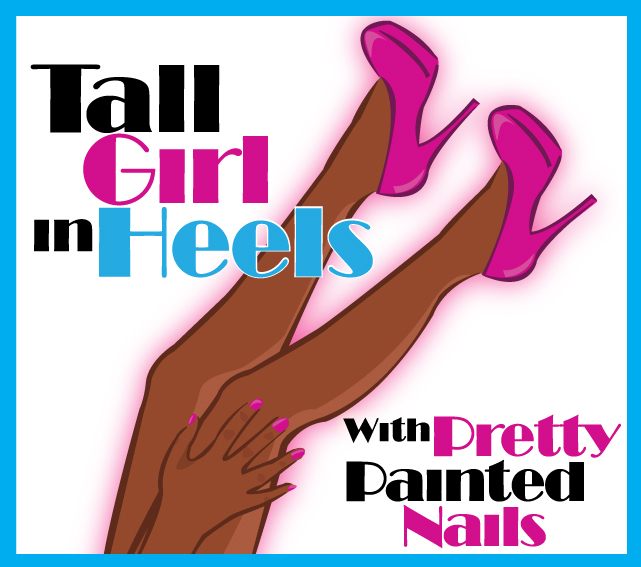 Their polishes are always easy to apply and the formula is great! I wanted to get out of my comfort zone with blues and green so I chose Improv Show and Curator. Improv Show is so pretty!! What do you think?